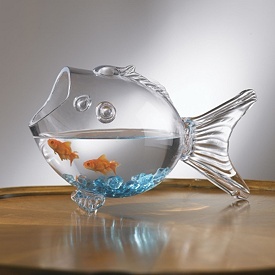 Jesus « Living Life in a Fish Bowl! Today is the beginning of Lent. Lent is a time of reflection and preparation for Easter. Giving up something for Lent is meant to help us remember Jesus’ wilderness experience and His sacrifice. This is considered a type of fast. If you count the days, you will see that there are more than 40 days until Easter. Sundays are not considered fasting days. Sundays are considered feasting days. Whether you decide to give up something during this Lent season or not, I encourage you to ask God if something is out of balance in your life. Balance in a Christian’s life is not about everything being equal but about being in line with God’s Word and will. It is God who brings balance to our lives. It is God who gives purpose. I am always telling people to turn on praise music when life heats up. Following my own advice, I cranked up Klove. Praise makes a difference. What we fill our mind with matters. What are you listening to? With each song I felt the weight lifting. Did the messiness of life go away? No! But the peace of God settled the messiness in my heart. The assurance that He is in control and working all things out for my good fills me once again with peace. We can sit and stew or we can sit and praise. We can rehash the problem or we can lay the problem at the feet of Jesus. We can stick our shoulder into it and force a solution (probably the wrong one) or we can operate in the strength God gives us that spills over into joy. We can grumble or be grateful. We can operate in a victim mentality or we can let God arise, be our defense and help us to operate as a child of the King.